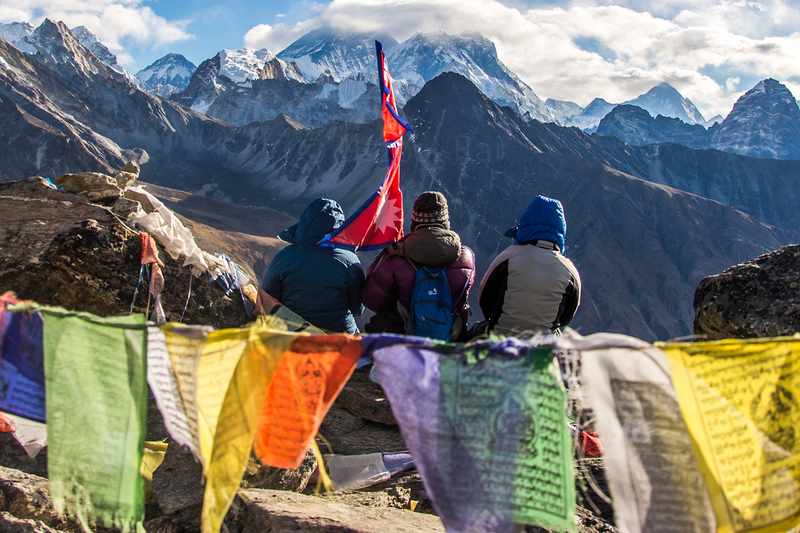 Climb to the top of Gokyo Ri, reaching the same altitude as Everest Base Camp. 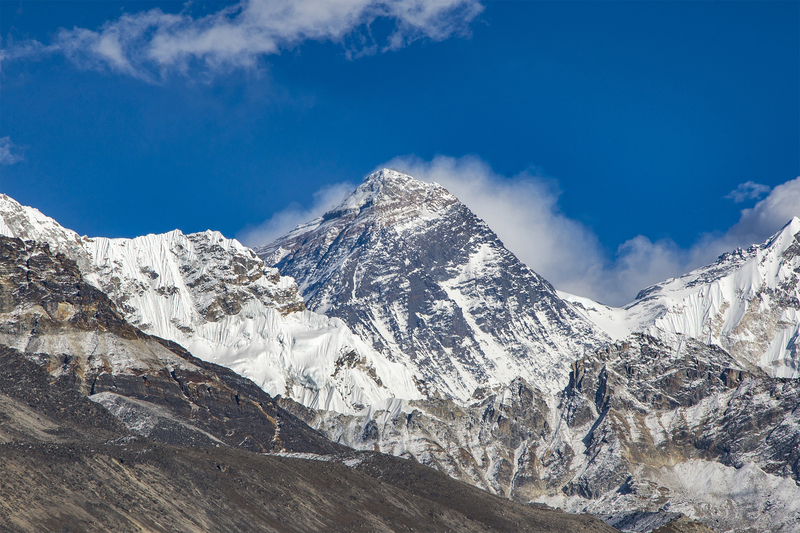 At the summit, you will have amazing views of Everest the tallest mountain in the world, soaring almost five and a half miles into the sky. With 360 views of snow capped mountains and glaciers. The magical turquoise waters of the Gokyo Lakes are one of Nepal’s hidden gems. These lakes are the highest freshwater lake system in the world. 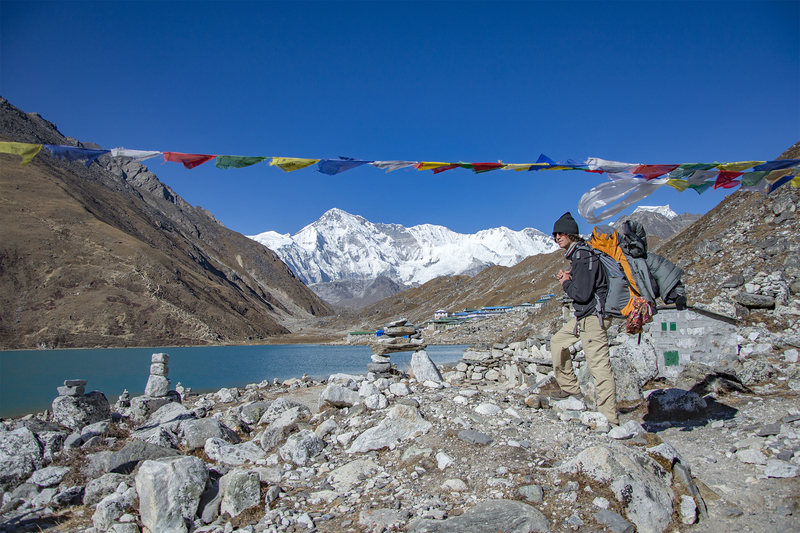 The Gokyo Lakes trek is ideal for people who want to trek in the Everest region, but want a more unique and remote experience. Offering a wide variety of scenery, and landscapes that will burn images in your memories for a lifetime. A FlashpackerConnect representative will meet you at Tribhuwan International Airport, where you will be transported to your hotel, we have a free time today to explore a little in Kathmandu. We explore four of UNESCO World Heritage Sites on this day. Buddhist Shrine Bouddhanath, Swayambhunath ‘Monkey Temple’, Durbar Square and the most sacred hindu temple in the world Pashupatinath. These sites are very important in the valley of Kathmandu, culturally and religiously. The value of architecture and history is very high for Nepalese. Later we prepare for the trip (last minute shopping, trip preparation). Early morning we head to the airport one more time to take the flight to Lukla. The flight usually 30 minutes long. The Lukla airport is one of the most adventurous airports in the world and it is called Tenzing-Hillary airport. 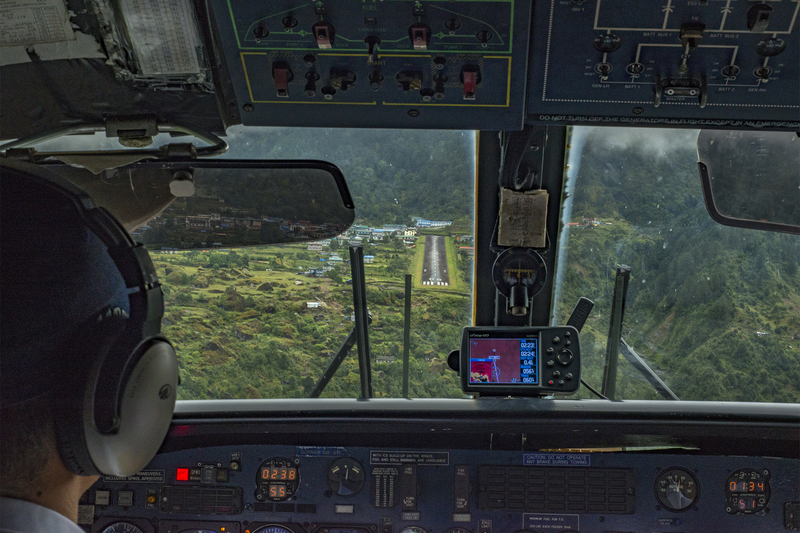 Airstrip is about 460 meters long and it is steep, hanging off the side of a mountain. After landing, we have breakfast and head towards Phakding, where we will start our trek. After breakfast we start our trek, we will hike along the Dudh Koshi River crossing it several times with the help of high strung suspension bridges. We will passing through villages, mane (Chortens) and monasteries. Today we will have a good views of the impressive masstif of Mt. Thamserku at 6,623 meters on our right. Today we will enter inside Sagarmatha (Everest) National Park after we reach the village of Monjo. We will have our lunch at Jorshalle,the last village before Namche Bazar. From here the walk is nice and easy through a riverbed, and the the trail starts to accent as we cross one more famous suspension bridge called Hillary suspension bridge. An amazing view of Mt,Taboche, Kwangde, Everest, Thamserku, Lhotse will welcome us to the land of Sherpa! Our first acclimatization which is very important for us to adjust will be here in Namche Bazar, it will prevent us from getting AMS Acute Mountain Sickness. 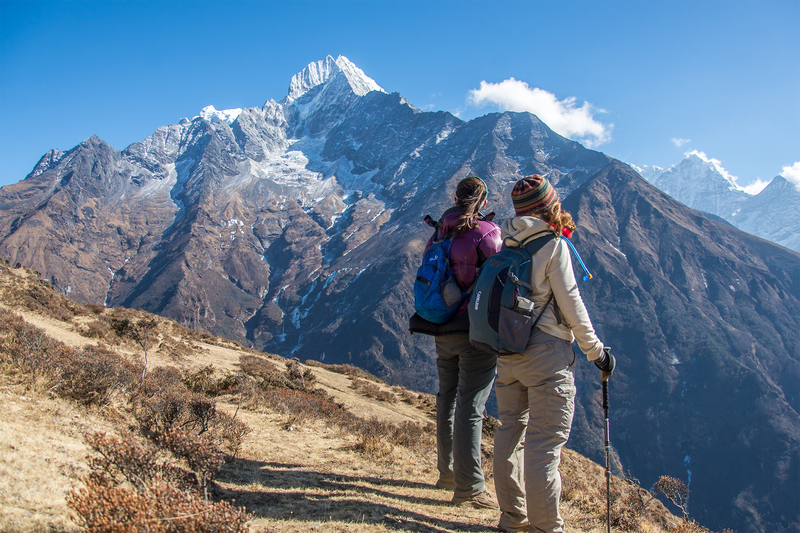 To acclimate we will go for a short hike around the village, to the headquarters of Nation park is at the top of Namche Bazar from here we will enjoy the view of the valley we came through. Mt. 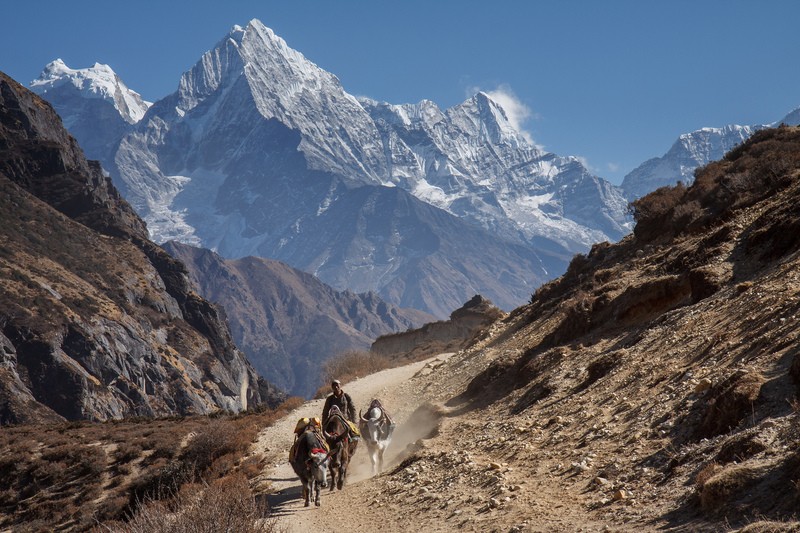 Kusumkanguru, Mt Thamserku, Mt Ama Dablam Everest and many more can be seen from here. In the evening we explore Khumjung village where we can visit the monastery where they have a Yeti scalp, and rest the remaining part of the evening. For first 2 hours trail is easy, gradual up and down and our trail will be different from the main Everest Base Camptrail after Kyangjuma. 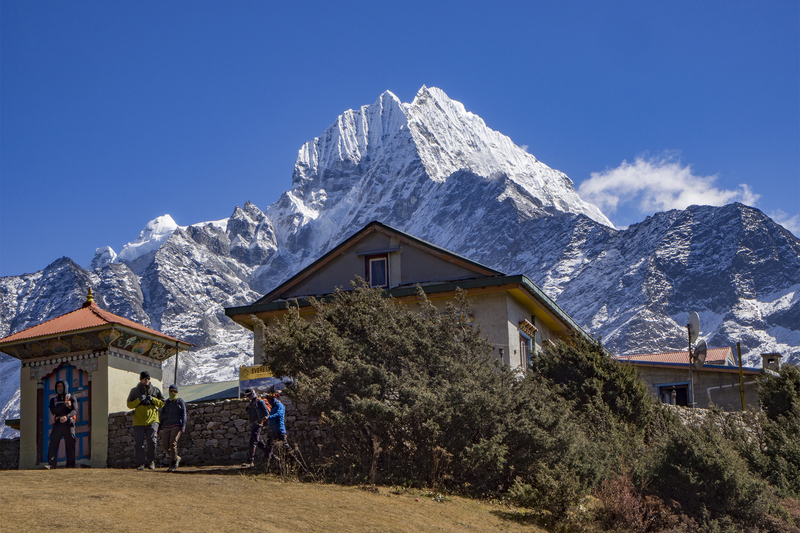 At Kyangjuma it start to ascent, with surreal views of Mt Amadablam and other mountains in the distance. On the trail we often see Himalayan Musk deer, Himalayan Thar, Impeyan Pheasant, etc. Today our trek will be very short, it is not more than 4 hours. Views of Cho Oyu, Khentega and Thamserku will be seen on the trail today. The trail is fairly flat taking us to the village of Machhermo, where we will have lunch. After our lunch we can visit Himalayan Rescue Hospital for a education regarding mountain sickness, how to prevent and primary treatment. After our breakfast we will start our trek towards the Gokyo, which is our main goal. On the way we will be greeted by stunning views of Mt. Cholatse on our right, Mt. Cho Oyu in front and Thamserku, Khengtega to our back. Our trail starts to ascend gradually, passing 3 amazing lakes. The lakes are super turquoise in color will blow our mind. From here you will be standing in the greatest landscapes of the Himalayas, where we will soak up the views in the shadows of the highest peaks in the world. Today early morning we set off to Gokyo Ri to chase an awesome view and sunrise from the top of the Gokyo Ri which is at 5,360 meters. From here we get 360 degree views of the Himalayan vista. We can see a hand full of mountains that stretch 8,000+ meters into the sky (world’s highest mountain Everest 8,848m, fourth highest MtLhotse 8,516m, fifth Mt Makalu 8,485m and sixth Mt Cho Oyu 8,201m) and many more. The biggest glacier of the region is called Ngozumba Glacier which is right in front of us as well. After we get back to the village we will have our breakfast and head back down to the village of Dole. Today we will be enjoying waterfalls, wild animals and birds on our way to Namche Bazar. In spring the Rhododendron forests will be blooming. Namche Bazar is one of the biggest settlement in Everest region, with souvenir shops, this is a good opportunity to pick up something for family members or friends.Our journey today will be one of the longest since we have to cover18 kilometers in total but it will be at lower elevation, so it won't be too demanding. We grab a quick breakfast and board our plane from Lukla to Kathmandu. After we land at Kathmandu you are free to roam around one last time. On the last day depending upon your flight time we will drop you at the airport. We wish you luck for your safe flight back to your destination! Optional extensions available, please inquire.